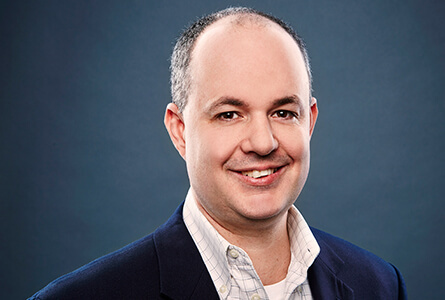 TMP Worldwide’s Executive Vice President, Digital Products & Strategy, Matt Lamphear leads the company’s product innovation and strategic direction. Reporting to him is TMP’s digital group, which includes Digital Strategists, Product & Innovation teams, Product Marketing Managers and Sales Engineers. His close contact with clients, TMP’s North American and global development teams, and representatives from other HR technology companies enables him to advance the product R&D initiatives that differentiate TMP in the marketplace. Matt takes gratification in knowing he has been instrumental in leading TMP’s trajectory from an ad agency to a software company. Based in Chicago, Matt was promoted to his current role in 2012. Before that, he spent approximately nine years as TMP’s Vice President, Product Development, where he oversaw product development efforts. Matt started his career at TMP as a summer intern in 1994 and transitioned to full time the following year as an entry-level account service professional working with clients on their day-to-day needs. During his TMP career, he has also been a Senior Product Manager, Project Manager and Account Director. Matt earned his MBA from Northwestern University’s Kellogg School of Management with a concentration in marketing and organizational behavior and his undergraduate degree in business administration from the University of Illinois at Urbana-Champaign.